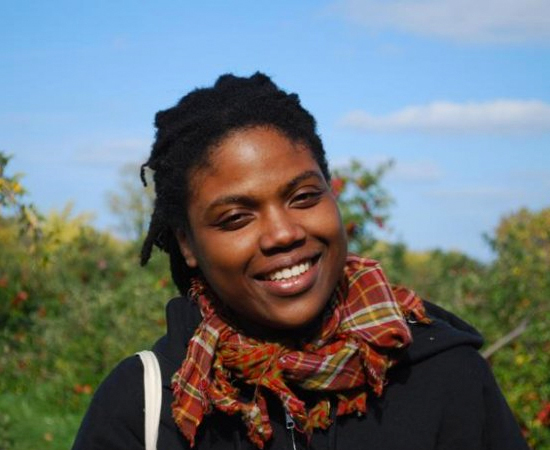 LaShandra Sullivan (Ph.D., University of Chicago 2013) joins Purdue University as an Assistant Professor of Anthropology. She is also currently a postdoctoral fellow in Anthropology and Environmental Studies at Williams College. Dr. Sullivan researches the expansion of agribusiness in Brazil and resulting conflicts with labor and ethnicity-based social movements. Her dissertation, titled “‘The Space to Be Ourselves’: Ethnicity, Agribusiness, and Land Conflict in Brazil,” is an ethnography of roadside squatter camps of indigenous and non-indigenous land protesters in the state of Mato Grosso do Sul. Sullivan analyzes the emergence of these camps with rural economic development—specifically mass displacement of rural inhabitants, casualization of labor, deforestation, and reorganization of politics (particularly ethnic politics) in recent decades. Her current research includes the study of urban agriculture and water management in São Paulo, Chicago, and northwest Indiana. This project will address transformations in land use practices, food production and distribution, as well as control over water resources across recent generations of rural to urban migrants.